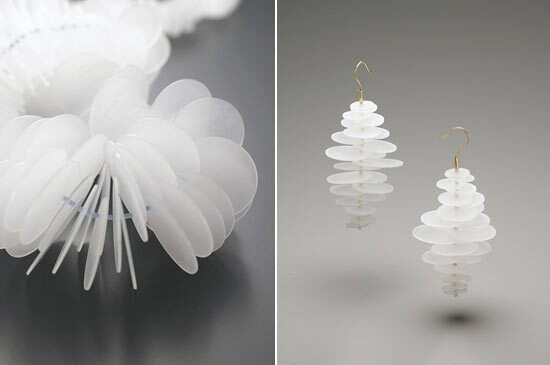 A recent Graduate from Royal College of Art, Jewellery designer and maker Jahyun Rita Baek (UK) makes contemporary jewellery using plastics and polymer combine with precious metal. Light and movement of the pieces are emphasized when the jewellery is worn. « Designs are created by deconstructing materials for reconstruction. Inspiration begins with the materials. 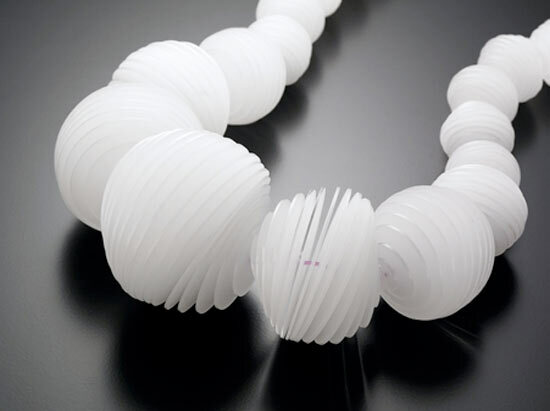 Combining geometric units and flexible elements, the pieces are systemically arranged into jewellery which captures light and movement. Through the exposure, the viewer is invited to sense and explore the pieces with excitement and curiosity. NEW SHOP on the web at LoveDAZZLE !